The great market of Otavalo opens the door to the Northern Sierra with beautiful lakes and the crafting villages that arrive till the Colombian’s border. This city has specilized itself with the creation of pieces of clothing made of wool, like sweaters, rugs and hammocks for example. The natives have not lost their traditions, men and women use their typical clothes and women are very popular because of the use of necklaces of a great variety of colors which can be bought in the market. The Imbabura province, located in the north of Quito is also part of the touristic reputation of Ecuador. It is to say that the volcanoes, the lakes and the valleys there are truly like postal cards, while the diversity of indigenous groups make the area very interesting for cultural knowledge. The area is also well known for its crafting: the wooden sculptures of San Antonio, the leathers of Cotacachi and the famous weaving of Octaval. 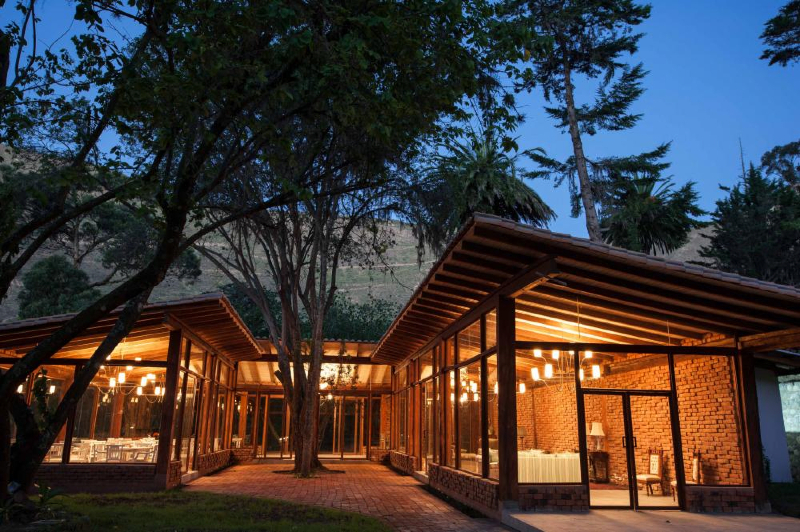 Dating from the late XVI century, this Hotel lies in the spectacular Andean mountain range of Ecuador at 9,600 feet (2,800 meters) above the sea level, and only two hours north of Quito, the capital of Ecuador. Zuleta is a colonial working farm of 4,000 acres (2,000 hectares) that belongs to the family of Mr. Galo Plaza Lasso, a former president of Ecuador, for more than 100 years. 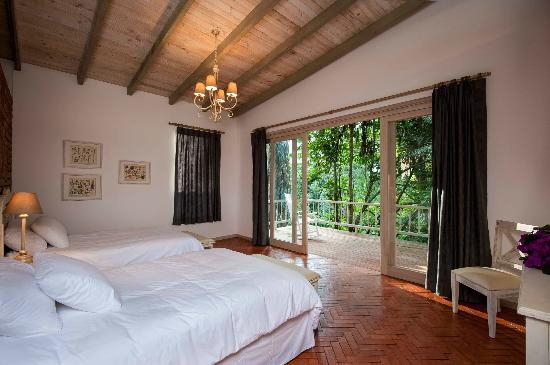 It was chosen as one of the world’s “Top Ten Finds” by Outside magazine and named as one of the best Ecuador Hotel by National Geographic Traveler. 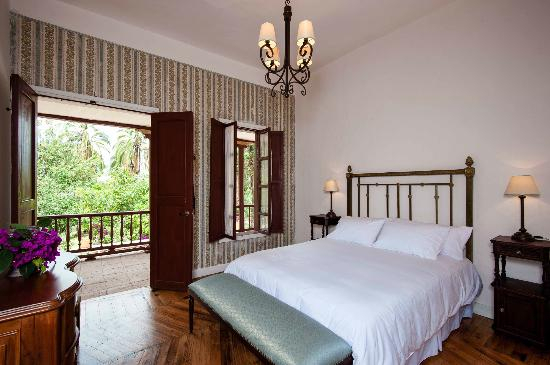 The hacienda has 14 beautifully decorated bedrooms, all with their own fire place; Antique gardens along with cosy living and reading rooms offer a peaceful atmosphere. Delicious home Ecuadorian cuisine among other types of gastronomic adventures are offered daily, prepared with organic vegetables, trout and dairy products produced on the Hacienda. Hacienda Zuleta offers a great variety of activities and places to visit to its guests. With horseback riding in Ecuador being their speciality, they also offer mountain bikes and a horse drawn carriage for trips on hacienda grounds to observe the milking, the agriculture, mountain views and the tranquil life of the community. Guest can also visit their Condor Andes rehabilitation program “Condor Huasi Project” that works for the rehabilitation of the majestic Andean Condor. 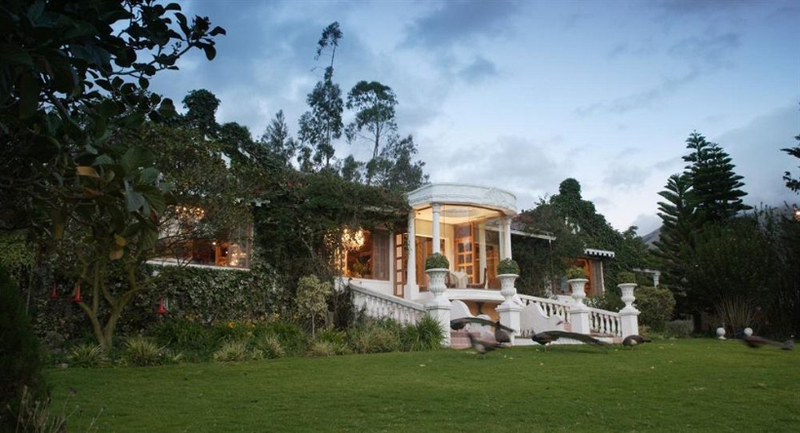 Stunning Hacienda Piman is a historic retreat located in Ecuador's northern Andes. 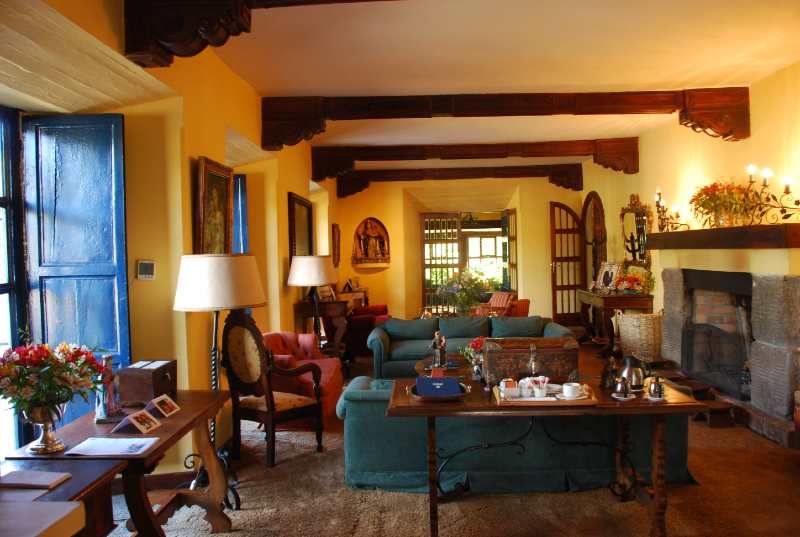 A former colonial and Republic country manor, Hacienda Piman has recently been restored to its original beauty by the Zaldumbide family. 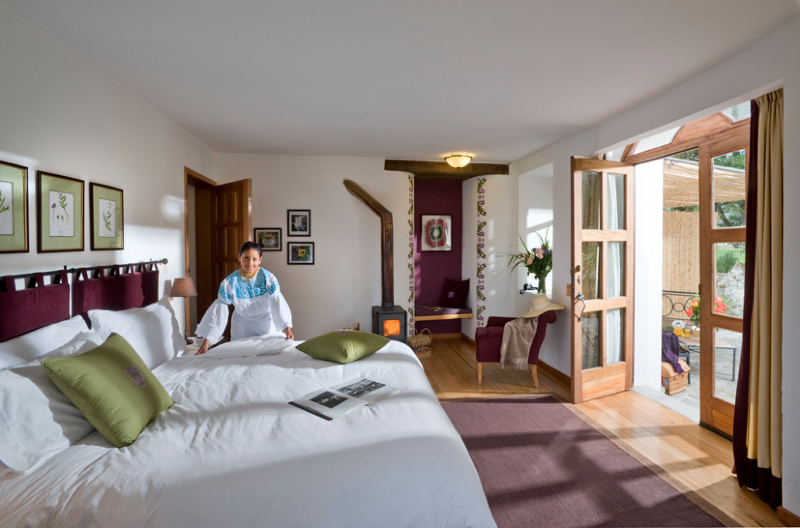 The Zaldumbide family has owned the hotel since its creation in the 17th century. 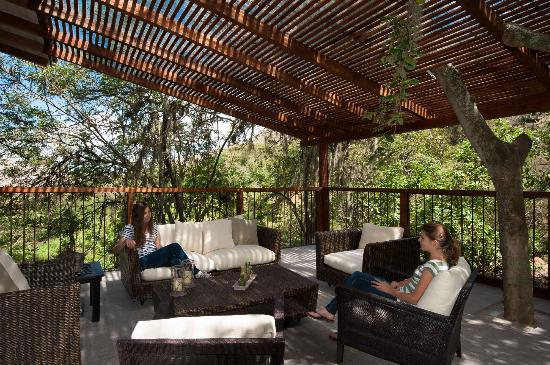 The hotel's green valley location makes it an oasis of Ecuadorian history nestled among the mountains. 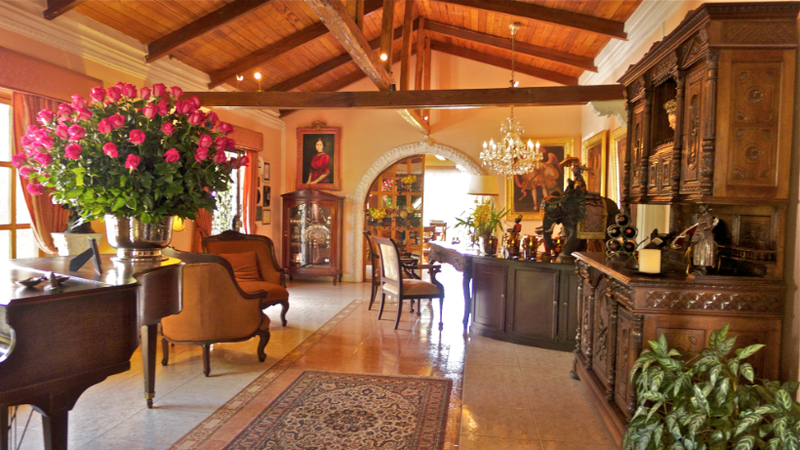 The style of Hacienda Piman is reminiscent of the country manor houses of southern Colombia or Venezuela and features an external patio which runs around the outside walls. 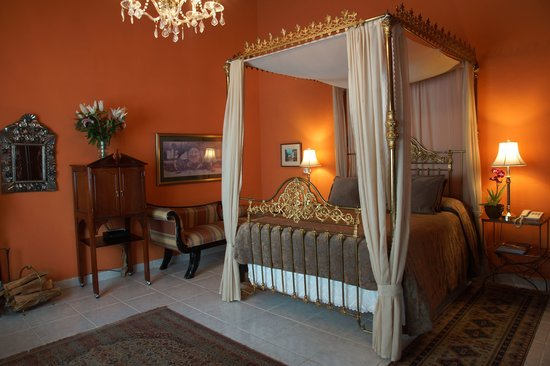 17 guest rooms marry old and new Ecuador and are the perfect blend of traditional and modern. 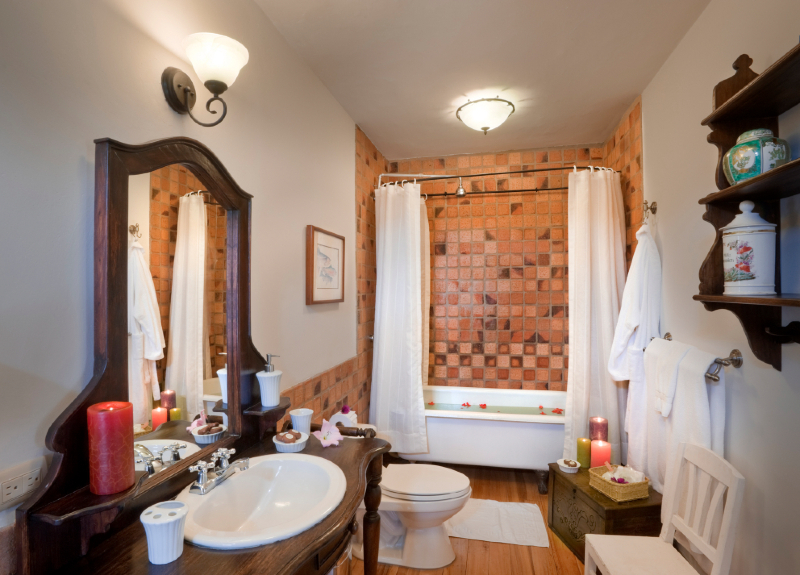 Rooms feature stone walls, exposed brick, antique decorations and colorful paintings. Hacienda Piman serves a vast array of home-style dishes, using Ecuador's variety of ingredients to create traditional cuisine of the Ecuadorian Andes. The hotel is also willing to share its recipes, enabling guests to return home with the ability to make their favorite meals.